A reprint of the famous Everard edition of 1650. 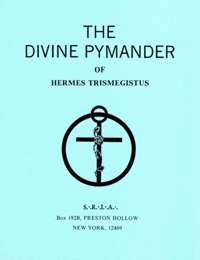 The Divine Pymander is one of the oldest and most important books on the mysteries. It has been a textbook for generations of hierophants, saints, and sages. A reprint of the famous Everard edition of 1650.